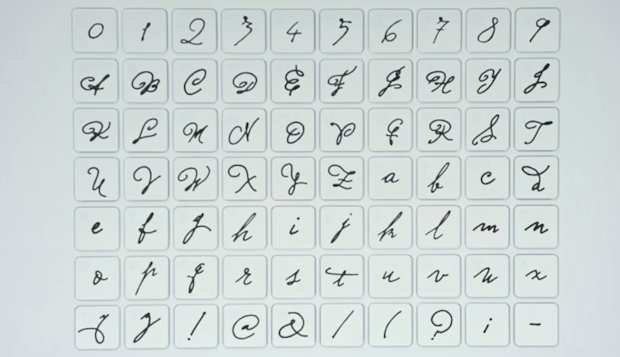 If you’re nostalgic for the days of long, handwritten letters, Pilot Pens has unveiled a new Web-based app that’s perfect for you: PilotHandwriting.com will turn your handwriting into your very own digital font, which you can then use in a letter to someone. The Web app is simple to use: You simply print out a sheet that you then fill with handwriting samples for each letter and punctuation mark. Then, you hold that sheet up to your webcam or scan it, and then the app crunches your entries into a workable Web font, creating connectors between the letters, rudimentary letter spacing, and what-not. While we’re a bit skeptical that a great deal of people will actually use the thing, you’ve got to admire the elegance of the Web design, the fact that the app actually works–and the sheer marketing cleverness of the entire thing. As a pen-maker, it’s not easy for Pilot to grab much attention in a webby world.